Farmers. Shop Owners. Creative Spirits. Entrepreneurs. We are Kay + Marco Franciosa, the husband and wife team behind In the Farm Kitchen, along with our son Rye and daughter Hazel. Our brand is rooted in our family life and our histories as farmers, homesteaders and small business owners. Our combined experiences over the years include 25+ years of farming. We've done countless farmers markets, run several CSA (Community Supported Agriculture) programs and sold both wholesale and retail. Our entrepreneurial spirit and passions have always led us and kept us going. 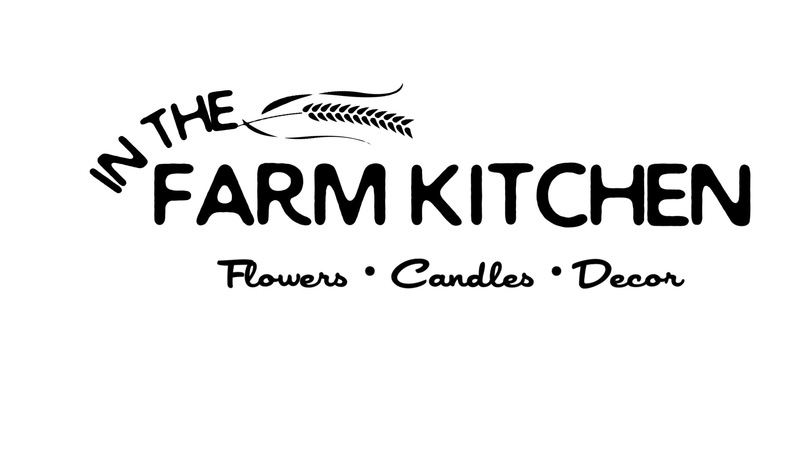 In 2014 we decided to pursue the lifelong dream of opening our own brick and mortar farm shop. We found the perfect spot, a beautiful historic building in the heart of our charming town of Brownsville, Oregon. It was a place to showcase all of our farm fresh products and develop our passion for vintage and farmhouse style home decor. Fast forward a couple of years and that original vision has developed into much more than we had ever imagined. In the Farm Kitchen has evolved into a successful online lifestyle brand, featuring an array of both new and vintage decor and locally produced goods. We strive to provide products with a function and a story, and believe that unique and beautiful items help make a house a home. Our inspiration comes from our daily life on our farm with our family, whether tending to our lavender fields or garden, collecting eggs from the chicken coop, or cooking up meals from scratch in the farm kitchen. Our business is an ever evolving one--and we cannot wait to see where the future will take us. We would love to have you visit our new storefront location at 431 Main St in Brownsville, Oregon and invite you to follow us on Instagram @inthefarmkitchenshop.